The new northern home of the BBC is giving London a run for its money when it comes to siting offices for the UK’s top tech talent, with Manchester leading the way, according to CWJobs. The recruitment firm found that those who consider London to have the best talent, the most likely (75 percent) reason for this being the concentration of tech companies. Of those employers who believe Manchester has the UK’s best tech talent (9 percent), 56 percent believe this is due to better tech-focused educational institutions (vs 43 percent who thought London’s were better). This suggests there could be a strong future for Manchester if they are able to continue to train up high quality employees of the future. When it comes to launching start-ups, whilst London (45 percent) is still the preferred choice overall, one in four (24 percent) IT decision makers (ITDMs) surveyed would choose to launch in the Northern Powerhouse rather than the Capital. Showing the huge growth in appeal of the region and its reputation as a hotbed for innovation. ITDMs based in the North would be most likely to launch in Manchester (33 percent) or Newcastle (13 percent), with only 29 percent saying that they would do so in London. Furthermore, half (50 percent) of ITDMs surveyed have considered opening additional offices – or upping sticks and moving office altogether – in order to attract IT and technology talent, indicating the lengths companies will go to secure the best employees. Manchester (21 percent) and London (20 percent) are the cities most likely to be considered for a new office, with those in the North much more likely (33 percent) to choose Manchester. 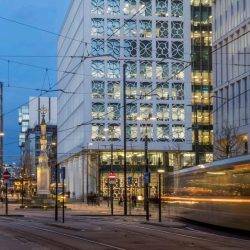 Manchester proves itself the shining beacon of the Northern Powerhouse with 71 percent of ITDMs based in the North of England saying their organisation is increasingly hiring talent from the city. Leeds (33 percent), Liverpool (25 percent) and Newcastle and Sheffield (both 21 percent) trail way behind Manchester, proving the city is well-established as the northern city for tech talent. However, more than four in five (84 percent) ITDMs state that their organisation is finding it increasingly challenging to hire IT and technology talent, with those in the North of England even more likely (88 percent) to say that this is the case. This shows that the skills gap plaguing the tech industry is a country-wide issue.